Arsenal are reportedly ready to send Denis Suarez back to FC Barcelona after a disappointing loan spell thus far (via The Standard). He was the only signing Arsenal made in the January transfer window but Denis Suarez is yet to really make an impact on the Premier League. The Gunners spent £1.5 million on a six-month loan deal with an option for a permanent transfer in the summer after Suarez played for Unai Emery at Sevilla. However, reports now suggest that Arsenal are unwilling to spend the rumoured £18 million to sign the player on a permanent deal in the summer. Suarez is yet to start a match for the Gunners and has made played just 67 minutes in the Premier League since January. It’s fair to say that most of those appearances were forgettable but Suarez did make a noticeable impact from the bench in his last match against Manchester United. 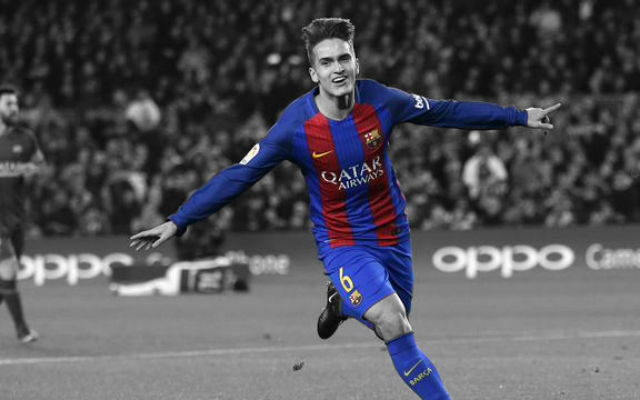 It’s still early in Denis Suarez’s Arsenal career and it remains to be seen whether he will have any real impact on the club. The Spaniard has disappointed from the bench but perhaps that will change in the coming months. There is still a lot of football to be played before the end of the season and it is on Suarez to justify the price tag.